Using the Synseal Shield 70mm system our windows are custom built to fit your home.The multi-chambered extrusion is stronger and gives improved thermal and acoustic performance. 28mm glazing in planitherm low E glass gives excellent performance and is fully compliant with government regulations.The planitherm glass does not have the colour tint that the more common K glass has so looks better when used with georgian bar units. Multi point locking with mushroom headed espagnolette bars give good security and smooth operation with a choice of white, gold or chrome key locking handles. 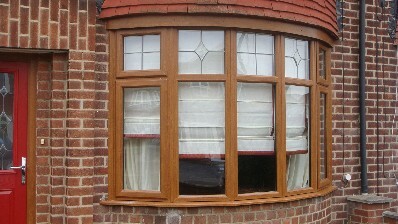 glass is firmly bonded to the frame to keep out intruders.